Melody Amaranth is a kindhearted but meek transgender fox from the small town of Greenridge. Recently, she made two important realizations about herself. One: she's deeply in love with her adventurous best friend, Allison Goleta. (The feeling was mutual.) And two: if Allison has her heart set on becoming an adventurer, then maybe Melody could join her. 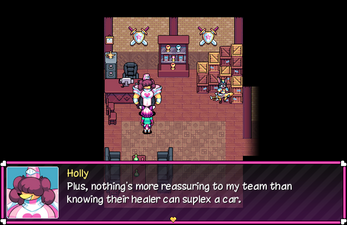 As a healer. 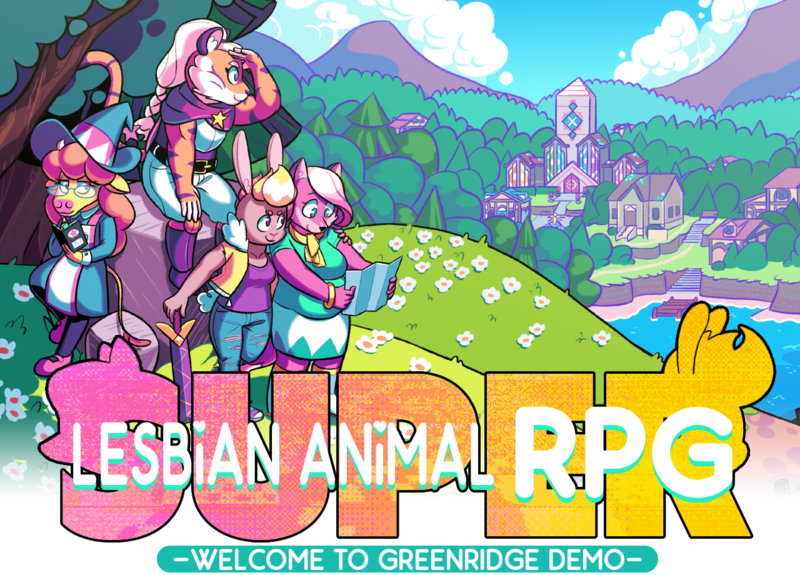 Super Lesbian Animal RPG is a short but sweet game about love, anxiety, and fighting funny looking monsters in dungeons. It follows the stories of Melody, her new girlfriend Allison, and their friends Claire (a sarcastic, rule-bending witch) (she is also trans) and Jodie (a dependable, somewhat motherly knight). This early pay-what-you-want demo gives players a taste of what's to come in the full game. Any donations will go towards funding the final game - in other words, paying my rent. Development is also funded via Patreon. Explore Greenridge as Melody and meet some of the town's colorful inhabitants! Control Melody, Allison, and Claire in battle (sorry, no Jodie) and learn new skills by leveling them up! Find secret bonus areas, hidden treasure, and a bunch of superfluous optional dialogue! An easy mode for those more interested in the story than the combat! The demo soundtrack is also available on Bandcamp!